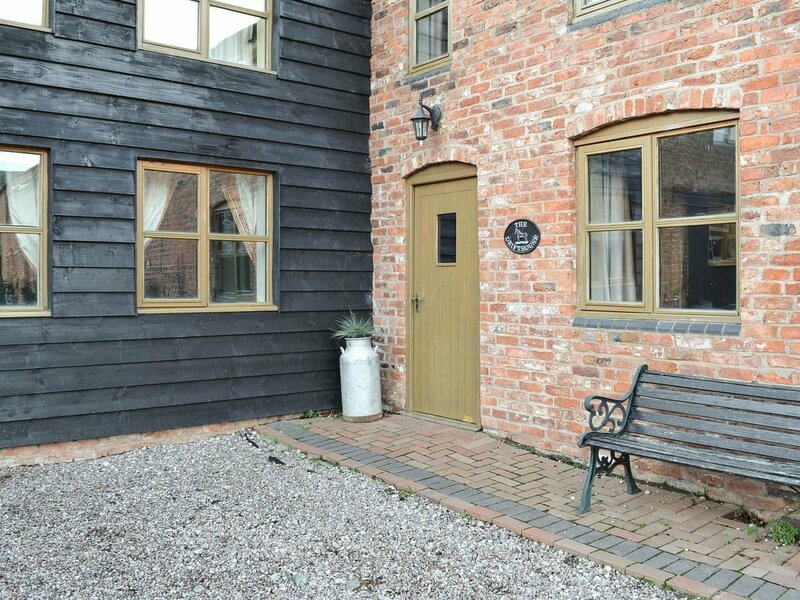 Easy driving distance to the city of ChesterSympathetically converted farm buildings, retaining original features, offering a very good standard of accommodation. Located at the end of an unmade road, they sit quietly in this rural community, yet they are within easy driving distance of the city of Chester, famous for being a walled city with its unique half timbered galleried shops and its Victorian Eastgate clock - said to be the most photographed timepiece in the world after Big Ben. Shops, restaurants and history are all to be found here. Chester has the largest amphitheatre in Britain, a 10th century cathedral, two renowned museums - the Grosvenor and Military Museums, and not forgetting the zoo! The walk around the walls is approximately 2 miles and offers a birdseye view of the city centre with views across to Wales’ magnificent mountains. Cheshire Oaks retail outlet village is a short drive away. At the end of the lane is the Beachin therapy swimming pool for dogs. Malpas, with its magpie style houses, Beeston with its castle, Tattenhall where the Cheshire Farm Dairy ice cream is made and Farndon which links Cheshire to Wales by a sandstone bridge are all an easy drive. Cheshire is also the gateway to some of the finest English countryside and Welsh borderlands. Golf is available within 2 miles of the property. Shop 5 miles, pub 2 miles. Ground floor: Living/dining room/kitchen with tiled floor. Second living room. Utility room. Separate toilet. First floor: 3 bedrooms: 2 double, one with en-suite shower room and toilet, 1 twin. Bathroom with bath, shower cubicle and toilet.Enclosed courtyard and furniture.All properties: Oil CH, elec, bed linen and towels inc. T/cot. H/chair. DVD. Elec cooker. M/wave. W/machine. T/dryer. F/freezer. D/washer. Wi-fi. Use of grounds 50 yards. Ample parking. Cycle store. No smoking. Be the first one to tell us about your rental experience while staying at Highfield Cottages - The Drift House. Let us know if the listing matched your expectations. You can share your comments about the location, property owner/manager and all the unique features that made your stay a memorable one.